Look through all the action from the final day at NYCC! 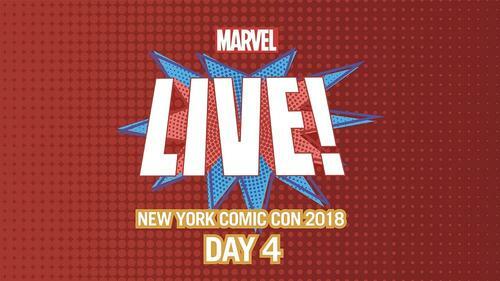 Marvel's New York Comic Con 2018 is in the books! It's been a wonderfully wild weekend for the House of Ideas, with breaking news and events from across Marvel TV, games, comics, and gear. 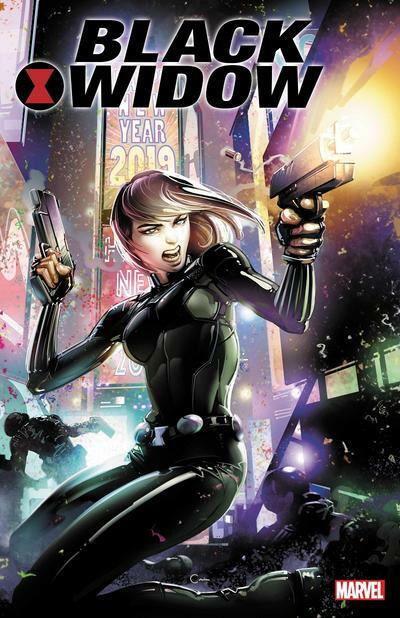 Today saw updates about "The Gifted", Black Widow, Marvel Animation, and so much more! Read through our final recap of NYCC 2018 below! Jodie Whittaker, Chris Chibnall, and Matt Strevens talked all things Doctor Who on Marvel Live! Marvel Animation's Cort Lane and Black Panther voice actor James Mathis III joined Marvel Live! What If? Thor writer Ethan Sacks, dressed as Old Man Hawkeye, hits the Marvel LIVE booth at NYCC 2018! Barbara Dunkleman, Lindsay Jones, Arryn Zech, and Kara Eberle of RWBY joined Marvel Live! Thanks for joining us at New York Comic Con 2018! Stay up-to-date with Marvel.com for more news on all of this weekend's reveals coming soon!